Twenty years ago, a search for your next home would start and end with the estate agent. Agencies were town centre offices, busy with buyers and sellers all day, and the phones ringing off the hook. Today, it’s a whole new world. Homebuyers conduct their searches on Rightmove, Zoopla and Primelocation, at their leisure, over a glass of wine, watching tv, or during a break (or not) at work. Agents now have no influence over which properties a purchaser will view, moreover, that buyer is completely anonymous and invisible to the agent, right until the last moment, when they call or email to book a viewing on a property they have chosen to see. 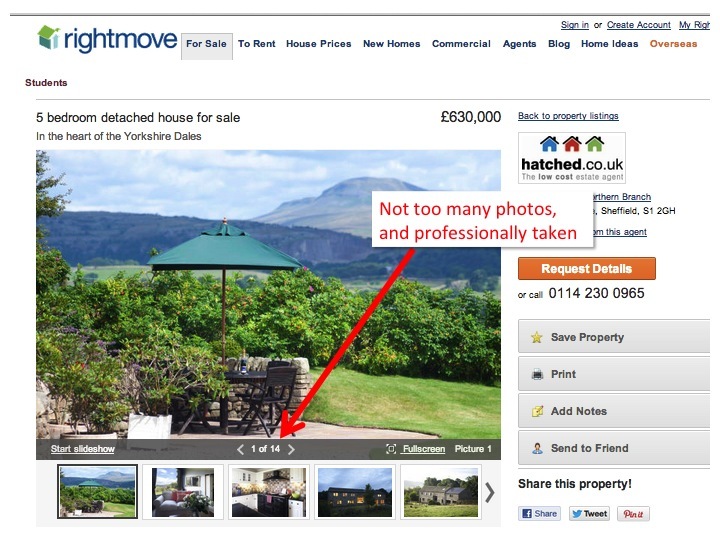 If your property doesn’t show up in an online search, you have zero chance of generating a viewing! Firstly, check the agent has listed you correctly, in terms of postcode, number of bedrooms and type of property. Mistakes here are surprisingly common so do check carefully. Next, make sure your asking price is optimised for the portals. (This post gives more information on this subject.) Simply put, your price needs to exactly match one of the drop down price bandings in the property search box, complete with the three zeros on the end. The ‘summary advert’ that appears in search results has only one job – to persuade someone to click on that advert. It is not there to sell the house. No one will book a viewing from this page; they need to see more information, and they can only see that by clicking your advert. To make your advert clickable, you need to have a terrific main image, and a really punchy, carefully crafted headline. 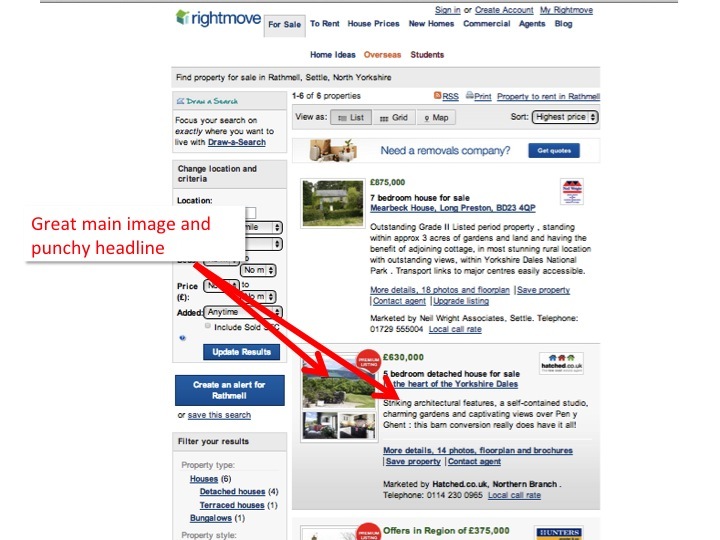 An interested buyer will look through your images at least two or three times. 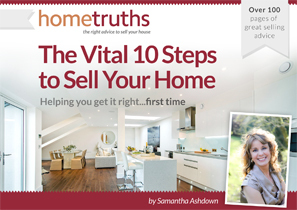 It’s vital therefore, that these images all really sell your property. They need to be professionally taken (ideally), well lit, of beautifully presented rooms, with the external shots taken on a blue sky day. Don’t overwhelm them with 40 photos (read more here), but do give the buyer enough to want to see more. I’d suggest you need around 12 images for a 3 bedroomed home, less for a small flat, more for a mansion. But definitely no more than 20, or you will be showing so much that a buyer doesn’t need to view! Has your agent produced a digital brochure for you? 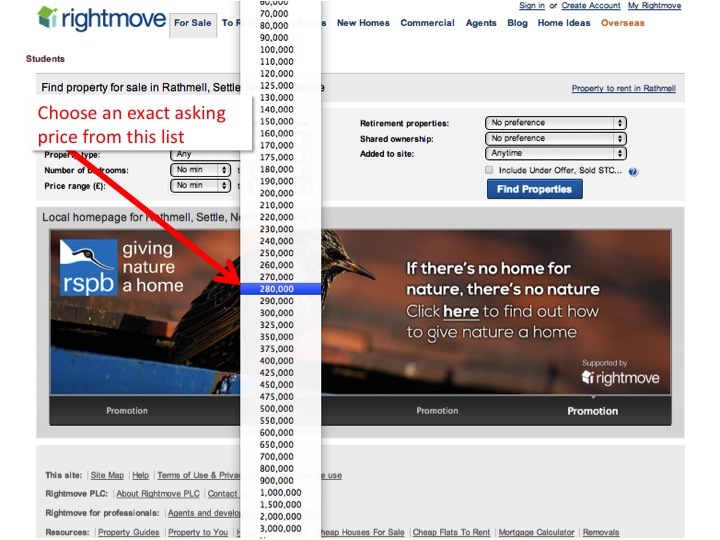 Take a look at your Rightmove advert – can you find the link? 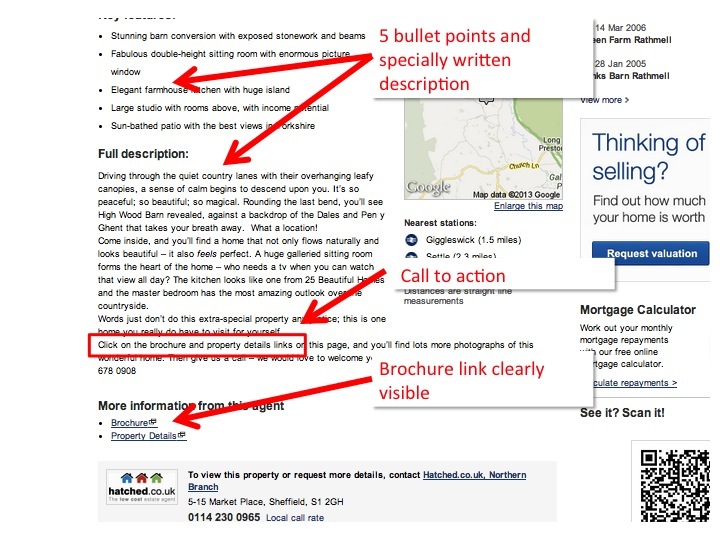 Rightmove made some changes to their advert format a couple of years ago, and unfortunately, in their wisdom, decided that the best place for a brochure link was right down at the very bottom of the page. (It used to be at the top, above the map, which was much better.) The problem is that buyers need to see the brochure before they book a viewing. Rarely will they decide to view your home without reading the information in your brochure. Therefore it stands to reason it needs to be at eye-level when they are looking at your advert. The only way to do this, is to remove almost all of the ‘Full Description’ text. I suggest that the ‘Main Feature’ section is limited to 5 bullet points, and the text below is written especially for this advert, rather than simply drawn out of the brochure. If you keep this to a 100-150 word paragraph, you’ll see that the brochure link now sits just below the level of the bottom of the map. Now add a final line which states “Click the brochure link below for more photographs of this beautiful home”. 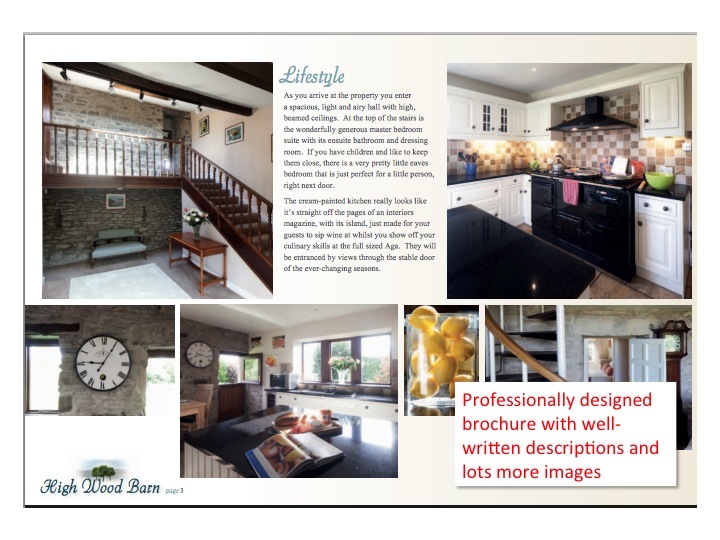 There’s something very disappointing about opening a digital brochure and seeing exactly the same images and information as is contained in the online advert. You need to reward your buyer for going to the trouble of finding the link to your brochure and downloading it to view. Add new, different images and lots of well-written words, so that they will feel interested and also satisfied that they now know enough to book a viewing on your home. So that’s it – five steps to helping your viewers on a journey that will hopefully result in a viewing for you. If you need more information on this critical area of your marketing, or your agent is less than cooperative over making changes to your advert, please get in touch; I’d be glad to hear from you and help you to reach your moving goals.